Greetings from The 88 Project! We are bringing you news, analysis, and actions regarding human rights and civil society in Vietnam during the week of March 25-31. Political prisoner Nguyen Van Hoa officially ended his hunger strike after 12 days. Authorities are threatening to isolate Phan Kim Khanh in prison, and Le Anh Hung is being denied visits from his family because he refuses to wear a prison uniform. Christian missionary Ksor Ruk was sentenced to prison in the Central Highlands this month. Cao Dai priest Hua Phi was harassed and interrogated by authorities; he needed medical attention after he suffered from blood pressure problems during questioning. A former political prisoner’s family was harassed while on a family visit. Female environmental activist Cao Vinh Thinh was detained for questioning about her affiliation with the Green Trees group. And former political prisoner and activist Nguyen Quang Hong Nhan and his wife have been extradited back to Vietnam from Germany. In international advocacy, the UN Human Rights Committee has released a report on Vietnam after its recent review, condemning the crackdown on freedom of expression as well as Vietnam’s use of the death penalty. In news and analysis, read about the persecution of Hmong Christians in Vietnam and an analysis piece on the defamation of independent Vietnamese media organizations by mainstream media. Take action for US citizen Michael Nguyen who has been detained in Vietnam for nine months without trial. News came this week that political prisoner Nguyen Van Hoa stopped his hunger strike earlier in March, after 12 days on strike. He originally started the strike to protest abuses against him in custody. It is unknown if the authorities have acted to remedy his grievances. In a letter home, Hoa revealed that other political prisoners helped him through the strike, and he was supported by a US diplomat based in Hanoi. Hoa, a freelance journalist who live-streamed footage of protests in the aftermath of the Formosa environmental disaster, was sentenced to seven years in prison. Mrs Niem, political prisoner Le Anh Hung’s mother, revealed this week that Hung was not allowed to meet with his relatives in prison. Prison authorities imposed the punishment after Hung refused to wear a prisoner uniform and handcuffs. Le Anh Hung was arrested on July 5, 2018 for posting a letter critical of the government and its proposed law on Special Economic Zones. He faces up to seven years in prison. He is still under pre-trial investigation under Article 331 of the 2015 Criminal Code (“abusing democratic freedoms”). Due to this, Hung refuses to be treated as a prisoner without being sentenced. 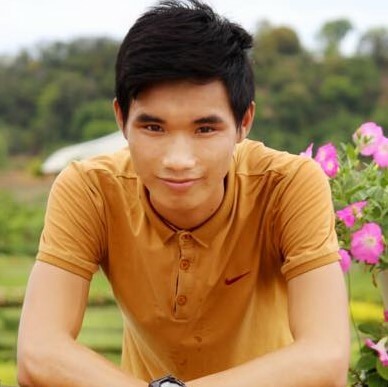 This month, a court in Gia Lai province sentenced Ksor Ruk, an ethnic minority Christian missionary, to prison on charges of “undermining the state’s unity policy,” under Article 116 of the 2015 Criminal Code. There are 51 other ethnic minority political prisoners currently held in prison in the country. From March 7 to 12, 2019 police went to Hua Phi’s house to “invite” him for questioning three times. They requested Phi speak with them about his alleged participation with “Free Independence Vietnam Association,” an unrecognized organization in Vietnam. He was also put under surveillance. Hua Phi is a priest of the Cao Dai religion and has been frequently harassed. Because he refused the police’s requests, security forces arrested him at 7:00 am on March 23, 2019 while he was at his private residence. Police took him to the police station at Duc Trong District, even though Phi is in poor health. After his high blood pressure became worse during his interrogation, police allowed medical staff to check him and let him rest. Finally, police took him back home after checking his blood pressure again and finding it was at a dangerous level. Hua Phi was then hospitalized to receive medical treatment. Former political prisoners Huynh Anh Tu and Pham Thanh Nghien’s family visited Nghien’s hometown in Hai Phong province. Because Tu does not have any legal documents to be able to travel alone, Nguyen Ngoc Tuong Thi, a former political prisoner, accompanied him on the train trip on March 25, 2019. In the early morning of March 26, Thi was suddenly detained at the police station of Dong Hai 1 ward, Hai An district. When Nghien’s older sister went to the police station to check on Thi, police also asked her to bring Huynh Thanh Tu there to declare his temporary residence at her house. Before releasing Thi at 9.40 am, police also said that Nghien’s and Tu’s families were under surveillance. Nguyen Quang Hong Nhan, a Vietnamese human rights and democracy activist who previously served twenty years in prison, has been sent back to Vietnam. After his release from prison, he continued his activism and found the group Vietnamese Former Prisoners of Conscience. Nhan had applied for asylum with the Canadian Embassy in Vienna, Austria. Recently, his family’s application was denied. And on March 26, 2019, German police suddenly detained Nhan, as well as his wife, and extradited them to Vietnam. Female environmental activist Cao Vinh Thinh was detained by police on March 27 while heading to her shop. She is a member of the group Green Trees. She was questioned about her activities with the group, and police confiscated her phone and computer. They tried to hack into the electronics and kept them even after releasing Thinh from detention that night. The Green Trees group protested plans to cut down large numbers of trees in Hanoi in 2015, as well as the Formosa toxic waste spill in 2016, and they recently made a film to mark the Formosa disaster’s third anniversary. The U.N. Human Rights Committee has spoken out against Vietnam’s human rights record after a recent review, highlighting its increasing crackdown on dissent. “Some have received lengthy prison sentences for charges under quite vague legal provisions, and they have been ill-treated in custody as well,” panel member Marcia Kran said of Vietnamese human rights defenders. The Committee also condemned Vietnam’s use of the death penalty, especially in cases of economic and drug offenses. Read the full report from the committee, here. Take action for US citizen Michael Nguyen, who was detained in Vietnam almost nine months ago. He may soon be facing trial. He is not permitted visits from lawyers or family. Little information has been available about his case, even to US officials. Call on Vietnamese authorities to release him from detention by signing this petition on Change.org.